ProGreen Synthetic Grass offers solutions to the many problems homeowners face with their natural grass lawns. All of our products are durable, low maintenance, water conserving, mud-free and backed by our 8-year, 3rd party insured warranty. In addition, ProGreen is a green product that earns LEED credits and increases your home value. So, how does ProGreen set itself apart from the rest of the industry? Well, our products come with "thatch" fibers that keep the blades of grass standing upright. These products use the most advanced resin technology to date created by ProGreen. 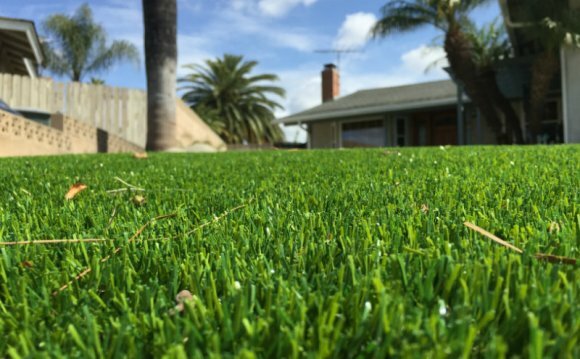 We are the only company to offer Supersoftâ¢ fiber technology, which enhances the softness of the artificial grass blades while still ensuring the tensile strength and overall integrity. As such, no other artificial turf products can match the feel of ProGreen. The polyethylene grass blades have an oval shape to ensure durability and softness. This also allows multi-directional movement and improves resilience. Our Delusteredâ¢ fibers are ultraviolet inhibited polyethylene fibers. Each individual layer is treated for ultraviolet degradation and exposure to extreme temperatures. Additionally, ProGreen is the only company using QuadriBINDâ¢backings formulated from renewable resources. All lawn products come in 15' wide rolls. The minimum order length is 12'. Face Weight: 75 oz. per sq. yd. Face Weight: 75 ounces per square yard. Perforation: 3/16" hole on 2" x 2 1/8" centers. Face Yarn Type: 9600/8 Denier Monofilament Field Green & 8000 Denier Monofilament Field/Lime Green. Face Weight: 60 oz. per sq. yd. Face Weight: 50 ounces per square yard.